The safety harness P-02S is a harness with 3 attaching points: a dorsal anchoring point (metallic ring) + two lateral attaching points fixed on the work positioning belt. The harness is provided with a harness with an adjustment systems for the leg straps (thighs) and the chest straps (shoulders). The locking system contains classic buckles but, at request, can be supplied with automatic snap buckles. 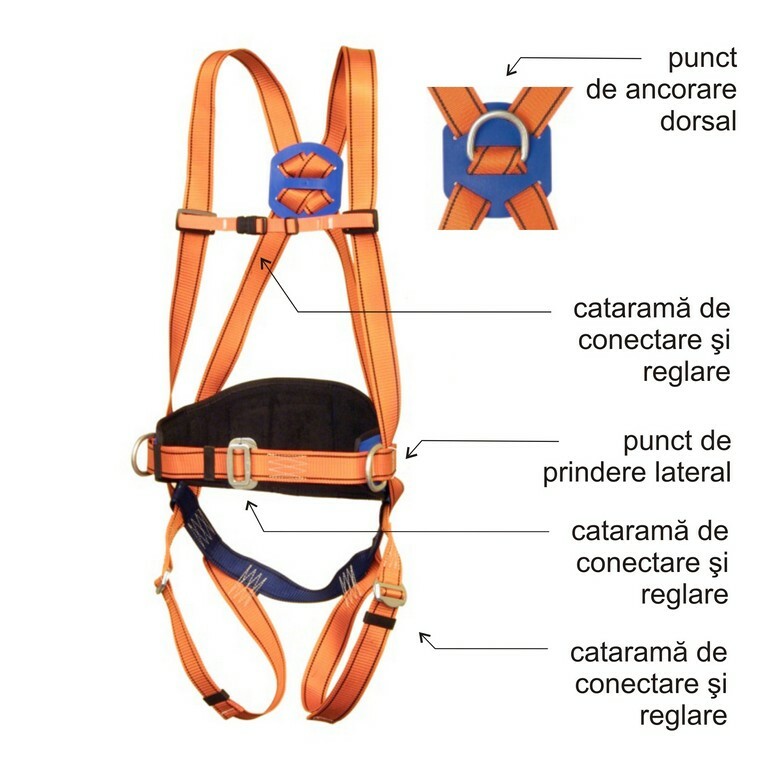 The safety harness is available in two sizes: M – XL and XXL.